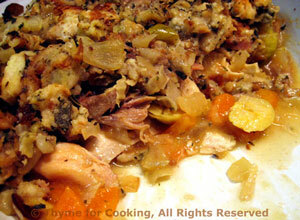 Thanksgiving leftovers: Turkey and Stuffing Pie, Thyme for Cooking. Our traditional 'Day After Turkey Day Dinner'. If you have leftover soup or spinach, use that as a first course. 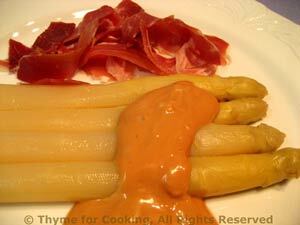 If not try something Spanish: White Asparagus with Mayonnaise. Anything else left in the fridge?